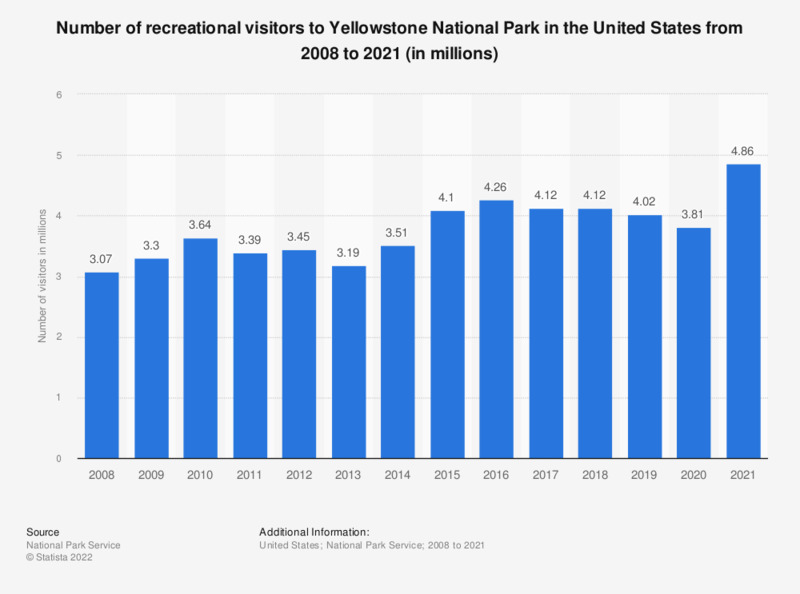 This statistic shows the number of recreational visitors to Yellowstone National Park in the United States from 2008 to 2018. The number of visitors to Yellowstone National Park amounted to approximately 4.12 million in 2018. Everything On "National park tourism in the U.S." in One Document: Edited and Divided into Handy Chapters. Including Detailed References.